The Voiceless Project will be producing Prophecy by Jessy Ardern in Rosebud, Alberta November 24-25th. Prophecy follows Cassandra and the women of Troy as they experience the tragedy of the Trojan War. Past and future blend together in this contemporary take on the ancient myth through the eyes of those most affected. 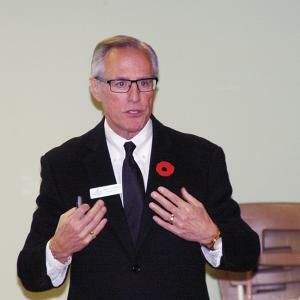 Kneehill Regional Family and Community Support Services sponsored a Volunteer Forum and catered supper at Bethel Evangelical Church on November 7. Invitations were issued to the numerous churches, businesses and organizations in the region who use volunteers in their outreach. Close to 50 attended. 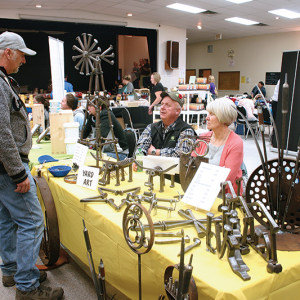 The 42nd annual Linden Fall Fair was held on weather-friendly Saturday, Nov. 2 with a variety of 60 vendors spread out within the gymnasium and entrance halls of Dr. Elliott School, along with the Cultural Centre. Crowds are usually present more in the morning hours of the fair but this year parking was scarce throughout the entire day and people were everywhere, shopping, observing, learning and socializing. The weather was great for Halloween and the kids came out in droves for “Trick or Treat Street” in Three Hills. Participating businesses opened their doors to school aged children on Wednesday, October 31, from 3 pm to 5 pm. Businesses report that about 300 children participated.